The crisis that we have with children and young people’s mental health is not going to be solved in consulting rooms and clinical settings across our county. The crisis may be contained by professionals in clinical settings, but it is not going to be solved there. It will be solved in communities – in schools, in families, in friendship groups, in youth clubs, in charities. It will be solved by changes in attitudes, in cultures, in beliefs and behaviours – not just in the young people themselves, but in their parents, their teachers, their friends and their medical staff. It will be solved by young people having access to and making use of healthy coping strategies – exercise, peer support, long-term bond with a trusted adult, mindfulness - and avoiding unhealthy coping strategies – substance abuse, violence, abusive relationships, eating unhealthily. Until we – councils, health services, parents, police, schools, charities – work truly in partnership with young people to understand their lives and address the underlying causes together, the situation will only get worse. Given the high employment rate in Surrey, do you find it hard to recruit and retain suitable employees? If so, the good news is that there are “hidden” pools of talent that many employers are not tapping into – young people with learning disabilities. Many young people with learning disabilities are longing to work and make great employees if given the chance. There are many wonderful young people who happen to have learning disabilities leaving schools and colleges across Surrey who have the capabilities to do a wide range of jobs. Some are highly capable of doing challenging financial or technical jobs, as long as employers make adjustment for their social skills or other learning disability. Others may excel at doing highly repetitive jobs that others do not enjoy. Employers benefit from employing young people with learning disabilities by gaining new talent and having a more diverse workforce which can bring useful insights to their organization’s strategy, products and services. It also gives employers an opportunity to demonstrate that they are compassionate and forward looking to their employees, customers and local community, thus helping both customer and employee retention. It’s true that some may need more initial support than other employees, but this can often be funded by the state and many employers have achieved a long term return on investment with a hard working, long-serving employee. We are aiming to create a win-win situation where employers get access to new pools of employees and some great young people get the work opportunities that they long for. For this to work, there needs to be new paths to employment for these young people, since the traditional recruitment practices typically act as barriers, not enablers. We believe that the best way to do this may be to create an email bulletin which contains requests made by charities/colleges for opportunities such as work placements for young people. If the work placements are successful, these young people might become valuable employees. We are currently doing a survey to find out employers’ attitudes to our ideas. 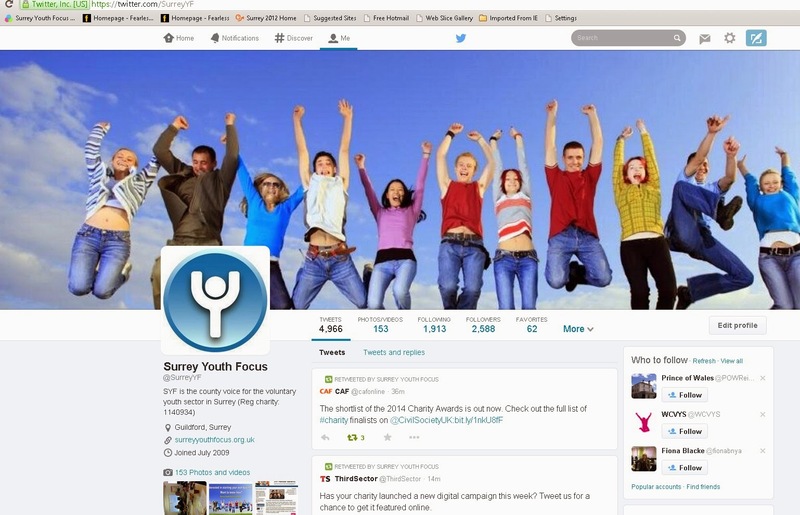 This project is being led by Surrey Youth Focus in consortium with an impressive list of organisations including Surrey Chambers of Commerce, Surrey County Council, employers, charities and schools & colleges across Surrey.